The gathering of the fishing bears keeps tight quarters in the river. 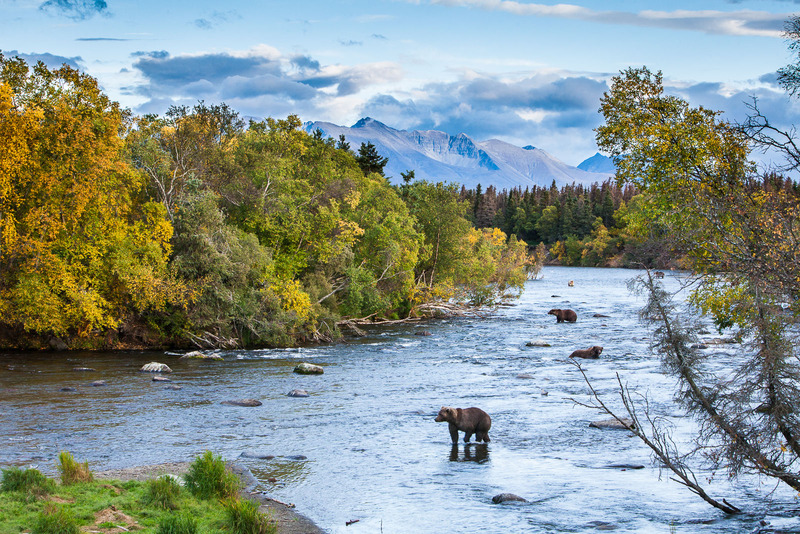 The autumn brings about a last push of the feeding frenzy for these grizzlies. Photo © copyright by Lance B. Carter.